Cooper, J.C., The Aquarian Dictionary of Festivals (Aquarian Press, 1990). Cotterell, Arthur, A Dictionary of World Mythology (Oxford Press University, 1986). Crim, Keith (ed. ), The Perennial Dictionary of World Religions (Harper & Row, 1989). Eliade, Mircea and Ioan P. Couliano with Hillary S. Wiesner, The Eliade Guide to World Religions (HarperSanFrancisco, 1991). Evans, Ivor H. (ed. ), Brewer's Dictionary of Phrase and Fable (Fitzhenry & Whiteside, 1989). Farmer, David Hugh, The Oxford Dictionary of Saints (Oxford University Press, 1987). Leach, Maria (ed.) and Jerome Fried (ed. ), Funk & Wagnall's Standard Dictionary of Folklore, Mythology, and Legend (Harper & Row, 1984). Lurker, Manfred, Dictionary of Gods and Goddesses, Devils and Demons (Routledge & Kegan Paul, 1987). Monaghan, Patricia, The Book of Goddesses and Heroines (Llewellyn, 1990). Opie, Iona (ed.) and Moira Tatem (ed. ), A Dictionary of Superstitions (Oxford University Press, 1989). Walker, Barbara G., The Woman's Encyclopedia of Myths and Secrets (Harper & Row, 1983). Walker, Barbara G., The Woman's Dictionary of Symbols and Sacred Objects (Harper & Row, 1988). Adams, Doug (ed.) and Diane Apostolos-Cappadona (ed. ), Dance as Religious Studies (Crossroad, 1990). Bancroft, Anne, Origins of the Sacred (Penguin, 1987). Campbell, Joseph, The Masks of God: Primitive Mythology (Penguin, 1969). Campbell, Joseph, Transformations of Myth Through Time (Perennial, 1990). Campbell, Joseph, with Bill Moyers, The Power of Myth (Doubleday, 1988). Eliade, Mircea (tr. Willard R. Trask), A History of Religious Ideas (University of Chicago Press, 1978). Eliade, Mircea (tr. Willard R. Trask), Shamanism – Archaic Techniques of Ecstasy (Princeton/Bollingen, 1974). Fields, Rick, The Code of the Warrior in History, Myth and Everyday Life (HarperPerennial, 1991). Goodrich, Norma Lorre, Priestesses (HarperPerennial, 1990). Henderson, Joseph L. and Maud Oakes, The Wisdom of the Serpent: The Myths of Death, Rebirth and Resurrection (Princeton University Press, 1990). Morris, Brian, Anthropological Studies of Religion – An Introductory Text (Cambridge University Press, 1987). Norman, Dorothy, The Hero – Myth/Image/Symbol (Anchor Books, 1990). Parrinder, Geoffrey (ed. ), World Religions From Ancient History to the Present (Hamlyn/Newnes, 1985). Stewart, R.J., Prophecy (Element Books, 1990). Von Franz, Marie-Louise, Patterns of Creativity Mirrored in Creation Myths (Spring Publications, 1986). Agency for Cultural Affairs, Japanese Religion – A Survey (Kodansha International, 1981). Campbell, Joseph, The Masks of God – Oriental Mythology (Penguin, 1976). Hopkins, Thomas J., The Hindu Religious Tradition (Wadsworth, 1971). Kinsley, David, Hindu Goddesses – Visions of the Divine Feminine in the Hindu Religious Tradition (University of California Press, 1988). Koller, John M., Oriental Philosophies (Scribner, 1970). Lao Tzu (tr. Victor H. Mair), Tao Te Ching – The Classic Book of Integrity and The Way (Bantam, 1990). Ross, Nancy Wilson, Three Ways of Asian Wisdom (Simon & Shuster, 1966). Wing-Tsit Chan (tr. ), A Source Book in Chinese Philosophy (Princeton University Press, 1969). Baldwin, Marshall W., The Mediaeval Church (Cornell University Press, 1968). Bulfinch, Thomas, Myths of Greece and Rome (Penguin, 1979). Campbell, Joseph, The Masks of God – Occidental Mythology (Penguin, 1976). Clebsch, William A., Christianity in European History (Oxford University Press, 1979). Farah, Caesar, Islam (Barron's, 1987). Finkelstein, Louis (ed. ), The Jews – Their History (Schocken Books, 1974). Finkelstein, Louis (ed. ), The Jews – Their Religion and Culture (Schocken Books, 1973). Kraemer, Ross S. (ed. ), Maenads, Martyrs, Matrons, Monastics – A Sourcebook on Women's Religions in the Greco-Roman World (Fortress Press, 1988). McManners, John (ed. ), Oxford Illustrated History of Christianity (Oxford University Press, 1990). White Jr., Lynn, Medieval Religion and Technology (University of California Press, 1986). Bierhorst, John, The Mythology of North America (Quill William Morrow, 1985). Carr-Gomm, Philip, The Druid Tradition (Element Books, 1991). Frazer, J.G., The Golden Bough – A Study in Magic and Religion (Papermac, 1987). Matthews, Caitlin, The Celtic Tradition (Element Books, 1989). Matthews, John, The Celtic Shaman (Element Books, 1991). Mooney, James, The Ghost-Dance Religion and Wounded Knee (Dover, 1973). Nichols, Ross, The Book of Druidry (Aquarian/Thorsons, 1990). Shafer, Byron E. (ed. ), Religion in Ancient Egypt (Cornell University Press, 1991). Schele, Linda and David Freidel, A Forest of Kings – The Untold Story of the Ancient Maya (Quill William Morrow, 1990). 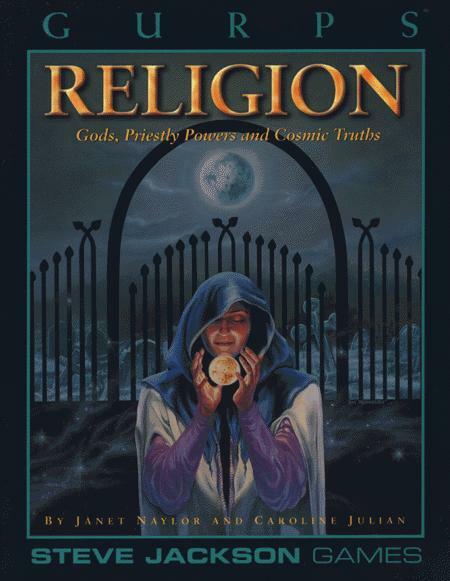 Starhawk, Spiral Dance – A Rebirth of the Ancient Religion of the Great Goddess (Harper & Row, 1989). Tyson, Donald, Rune Magic (Llewllyn, 1989). Addiss, Stephen (ed. ), Japanese Ghosts and Demons (Spencer Museum, 1985). Berndt, Ronald M. and Catherine H., The Speaking Land – Myth and Story in Aboriginal Australia (Penguin, 1989). Bosley, Keith (tr. ), The Kalevala (Oxford University Press, 1989). Translation of the Finnish epic. Branston, Brian, Gods and Heroes from Viking Mythology (Schocken, 1982). Burland, Cottie, North American Indian Mythology (Peter Bedrick Books, 1991). Dalley, Stephanie (tr. ), Myths from Mesopotamia (Oxford University Press, 1989). Evans, Cheryl and Anne Millard, Usborne Illustrated Guide to Norse Myths and Legends (Usborne, 1986). Gantz, Jeffrey (tr. ), Early Irish Myths and Sagas (Penguin, 1981). Gantz, Jeffrey (tr. ), The Mabinogion (Penguin, 1976). Translation of the Welsh epic. Graves, Robert and Raphael Patai, Hebrew Myths – The Book of Genesis (Arena, 1989). Husain, Shahrukh, Demons, Gods and Holy Men from Indian Myths and Legends (Douglas & McIntyre, 1987). MacCana, Proinsais, Celtic Mythology (Hamlyn, 1973). McAlpine, Helen and William, Japanese Tales and Legends (Oxford University Press, 1958). Piggott, Juliet, Japanese Mythology (Hamlyn, 1969). Roberts, Moss (ed. and tr. ), Chinese Fairy Tales and Fantasies (Pantheon Books, 1979). Ross, Anne and Don Robins, Life and Death of a Druid Prince – The Story of an Archeological Sensation (Rider, 1989). Simpson, Jacqueline (ed. and tr. ), Scandinavian Folktales (Penguin, 1988). Tyler, Royall (ed. and tr. ), Japanese Tales (Pantheon Books, 1987). Waters, Frank, The Book of the Hopi (Viking Penguin, 1963). Forde, R.A., Wisewoman (NEL Hodder & Stoughton, 1988). Christian/Celtic conflict. Tarr, Judith, Alamut (Doubleday, 1989). Crusades, religious conflict, magic. Tarr, Judith, Ars Magica (Bantam Spectra, 1989). Intra-church conflict, magic. Tarr, Judith, The Dagger and the Cross (Doubleday, 1991). Crusades, religious conflict, magic. Ball, Margaret, Changeweaver (Baen, 1993). Pseudo-Indian magical earth-religion. Ball, Margaret, Flameweaver (Baen, 1991). Pseudo-Indian magical earth-religion. Baudino, Gael, Strands of Starlight (Roc Penguin, 1989). Church vs. magic. Bradley, Marion Zimmer, Mists of Avalon (Knopf, 1982). Christian/Celtic cultural and religious conflict, magic. Carl, Lillian Steward, Sabazel (Ace, 1985). Warring cultures/religions, avatars. Carl, Lillian Steward, Shadow Dancers (Ace, 1987). 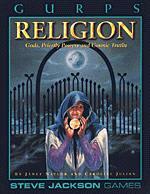 Warring religions, gods and avatars. Carl, Lillian Steward, The Winter King (Ace, 1986). Warring cultures and religions. Kurtz, Katherine, The Deryni series (Del Rey, 1970-1993). Religious magic, church vs. state, church vs. magic. Kurtz, Katherine, Knights of the Blood (Roc Penguin, 1993). Cursed knights, church vs. magic. Kurtz, Katherine, Lammas Night (Ballantine, 1983). World War II, magic vs. technology, good vs. evil. Eddings, David, The Elenium series (Del Rey, 1989-1991). Questing knightly orders; church vs. magic. Hodgell, P.C., God Stalk (Berkley, 1982). Polytheism, inter-church conflict. Huff, Tanya, Child of the Grove (DAW, 1988). Interfering gods, divine magic. Huff, Tanya, The Last Wizard (DAW, 1989). Divine magic, apotheosis. Lee, Tanith, Tales from the Flat Earth (DAW, 1978-1987). Meddling gods and demons. Leiber, Fritz, Fafhrd and the Gray Mouser series (Ace, 1970-1979). Meddling gods, divine champions, magic. Lovecraft, H. P., The Shunned House (1928), The Shadow Over Innsmouth (1936), The Outsider and Others (1939), Beyond the Wall of Sleep (1943), The Dunwich Horror (1945), The Shuttered Room (1959), The Dark Brotherhood (1966). Lovecraft is responsible for the Cthulhu cycle. Gods from beyond, destructive forces, and things-we-were-not-meant-to-know. Moon, Elizabeth, The Paksenarrion series (Baen, 1988-1989). Inter-church conflict, good vs. evil, divine magic, holy knights. Moorcock, Michael, Eternal Champion series (various publishers, 1967-present). Law vs. chaos, divine magic, avatars, meddling gods, fated champions. Paxson, Diana L., The Westria series (Pocket/Tor 1982-1990). Magical earth religions. Reichert, Mickey Zucker, The Last of the Renshai series (DAW, 1992-1994). Norse mythos, fated champions, meddling gods, divine magic, demigods. Sagara, Michelle, Books of the Sundered series (Del Rey, 1991-1994). Divine magic, light vs. dark, fated champions, inter-church conflict. Severance, Carol, Island Warrior series (Ballantine, 1992-1993). Divine magic, avatars, cultic conflicts. Smith, Julie Dean, Caithan Crusade series (Del Rey, 1990-1992). Church vs. magic. Yolen, Jane, Sister Light, Sister Dark (Tor, 1988). Prophecy and exegesis, religious conflict, change over time. Hambly, Barbara, The Darwath Trilogy (Del Rey, 1982-1983). Church vs. magic; church vs. state. Hambly, Barbara, The Silent Tower (Del Rey, 1986). Church vs. magic vs. technology. Hambly, Barbara, The Silicon Mage (Del Rey, 1988). Church vs. magic vs. technology. Hambly, Barbara, The Sun-Cross Trilogy (Del Rey, 1991-1992) Church vs. magic, church vs. state, magic vs. technology. Huff, Tanya, Gate of Darkness, Circle of Light (DAW, 1989). Light vs. dark, avatars. Kurtz, Katherine, and Deborah Harris, The Adept series (Ace, 1991-1993). Secret religious/magical orders. Lackey, Mercedes, Diana Tregarde series (DAW, 1989-1991). Neopaganism, magic. Paxson, Diana L., Brisingamen (Berkley, 1984). Divine magic, Norse mythos, neopaganism. Atwood, Margaret, The Handmaid's Tale (Bantam Seal, 1985). Orwellian theocracy. Cherryh, C.J., Wave Without a Shore (DAW, 1981). Existentialism. Cherryh, C.J., ed., Merovingen Nights series (DAW, 1987-1989). Political-religious factions on another planet. Gentle, Mary, Golden Witchbreed (Arrow, 1983). Religious culture clash, church vs. tech. Heinlein, Robert A., The Day After Tomorrow (Signet, 1949). Constructed religions. Originally published as Sixth Column. Herbert, Frank, The Dune series (Berkley, 1965-1976). Religion vs. technology, church vs. state. Messianic movement. Kingsbury, Donald, Courtship Rite (Pocket, 1982). Intra-church and cultural conflict. Lichtenberg, Jacqueline and Jean Lorrah, Sime/Gen series (DAW, 1978-1986). Post-holocaust society, mutants, merged and fractured religions. Vinge, Joan, The Snow Queen (Dell, 1980). Constructed religion, church vs. state. Barker, M.A.R., Empire of the Petal Throne (TSR). Wonderfully detailed world of Tekumel, with intricate religions. Laws, Robin D., GURPS Fantasy II – The Mad Lands (Steve Jackson Games, 1992). Weird maltheism – the gods are evil, or simply chaotic, and are avoided, not worshipped. Schroeck, Robert M., GURPS Werewolf: The Apocalypse (Steve Jackson Games, 1993). Rich use of symbol and ceremony. This is a very subjective list. Undoubtedly, some of your favorites have been omitted. All but one or two of these movies are available on video. Agnes of God (1985). Mystery set in a convent, interesting because of the clash between Jane Fonda's ultra-rational psychiatrist and Anne Bancroft as the Mother Superior defending the faith. Angel Heart (1987). Mysterious Robert De Niro launches two-bit detective Mickey Rourke at the beginning of a twisted "deal-with-the-devil" plot. Black Robe (1991). Jesuit attempts to convert natives of 17th-century Canada. Lots of culture clash; very historically accurate. Clash of the Titans (1981). Greek mythology brought to life, with nifty effects from Ray Harryhausen. Not very true to the classics, but good inspiration for a campaign where the gods meddle in mortals' daily affairs. The Greatest Story Ever Told (1965). The story of Christ, with Max von Sydow in the title role (he later played the Devil in Needful Things, proof of the ultimate in acting range). Length varies with edition. Jesus Christ Superstar (1973). Webber-Rice rock opera brought to the screen, with a few very odd visuals (why is Judas being chased by a tank?). Jesus of Montreal (1989) Modern-day Passion-play interpretation with lots of different viewpoints; historical and archeological references are very accurate. Joan of Arcadia (2003-2005). A teenage girl encounters God in a variety of human forms. The Last Temptation of Christ (1988). Many protesters hated this adaptation of a Greek novel because it presented a Christ who had doubts about his mission. Leap of Faith (1992). Overlooked great film, with Steve Martin as a con man masquerading as a faith healer. Interesting insights into the nature (and power) of faith. Monty Python's Life of Brian (1979). This movie – possibly Monty Python's best – offended lots of folks, most of whom hadn't seen it. Incredibly funny, and much more of a political satire than any sort of blasphemy. Name of the Rose (1986). Sean Connery struggles with lots of religious infighting in this medieval murder mystery. Oh, God! (1977). George Burns is the Big Guy Himself; John Denver is the meek grocer chosen to be his modern-day prophet. Much better than it had any right to be. The Rapture (1993). Mimi Rogers is amazing as a woman who fills her empty life with fundamentalism, only to fail the test on the Last Day. Watch for a cameo from the Four Horsemen of the Apocalypse. The Seventh Sign (1988). Pregnant Demi Moore believes the Apocalypse is at hand, and that her boarder wants her baby for an end-of-the-world plot. The Ten Commandments (1956). Cecil B. DeMille's epic story of Moses and the Exodus from Egypt. Worth watching for the parting of the Red Sea alone (bearing in mind that it was accomplished without CGI). The Wicker Man (1973). Edward Woodward is perfect as a pious Scottish police sergeant investigating a disappearance on a small island. The evidence of paganism shocks him more and more. Look for the 103-minute version. Wings of Desire (1988). Two angels wander around West Berlin and muse on what it would be like to be human.